Every car enthusiast knows what a hotrod, or a ratrod, is.But what exactly makes those cars hot and so famous? Is it the sick paintjob? The vintage, yet modernised look? Or a combination of those things that give hotrods and ratrods a unique, unmistakable look that many people adore. Not only that, but just imagining a vintage car performing like a modern one makes people squeal with joy. 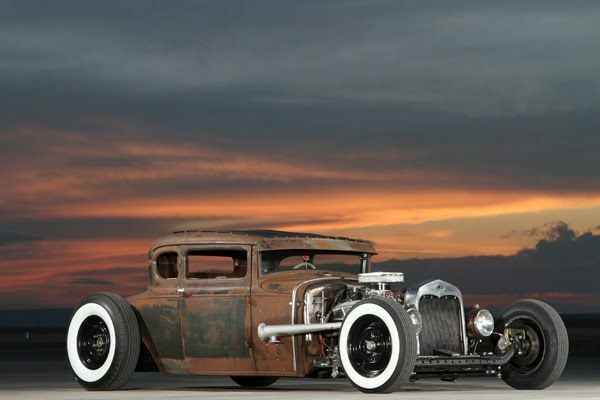 Now this combination of things really makes hotrods and ratrods awesome. Not only are they fast, but they also have the required style and class look. As ratrodusa.com will tell you, there is nothing better than feeling the power of one such car as you drive it down the road. Not only that, but at ratrodusa.com you will find many like-minded people who share this burning passion for hotrods and ratrods with one another. Maybe this burning passion comes from the hot flames that are a common choice for a paintjob? It certainly has something to do with that! Definitely, the appearance and performance of these cars have created a community of enthusiasts and lovers of that vehicle. It is almost like a cult, without all the negative sides! Ratrodusa.com is the perfect place to meet other fans of the style, stike up a meeting, and exchange knowledge about the cars. Besides, there you can find plenty of information about the cars themselves, and you can enlighten yourself if you are not too savvy with the topic. Other than that, if you are already interested in these types of cars, you are already a part of a big, passionate group of people from all around the world. No matter which country you are from, you are very likely to find another like-minded soul that you can talk with on this topic.